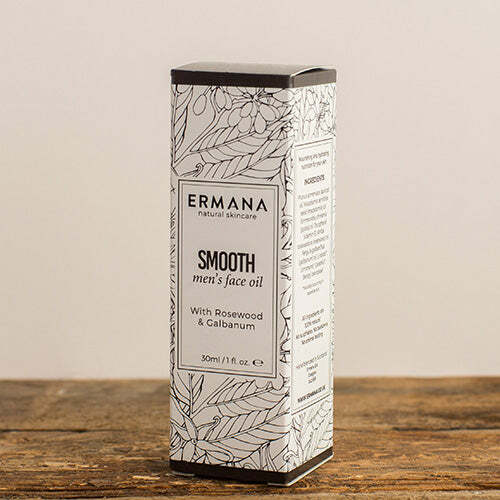 Ermana smooth face oil contains a luxurious blend of nourishing plant oils packed with natural vitamins, minerals, anti oxidants and omega oils essential to keep skin hydrated and younger looking. Infused with pure essential oils rosewood and galbanum which can help to reduce wrinkles and tone the skin. Vitamin E has been added to aid cell regeneration and to boost collagen. Suitable for all skin types and particularly beneficial to sensitive and mature skin. Galbanum has been known since the times of the ancient Romans and Greeks, where it was burnt in incense sticks, mixed in bath water, used in skin balms, and as a perfume. It has a fresh earthy and woody aroma and is extracted by steam distillation of the resin that is obtained from the Galbanum plant. This is a wonderful oil for the skin as it rejuvenates aging skin and gives it a younger and toned look. It has been hailed an oil which can give you “an organic facelift” as it smooths skin while giving it a lovely glow. Rosewood oil comes mostly from the wood chippings of the Rosewood tree found in the Amazon. It is one of the safest oils to use on sensitive skin due to its gentle, non-irritant nature. It works as a cell re generator making it perfect for older skin as it can also help diminish the appearance of wrinkles. 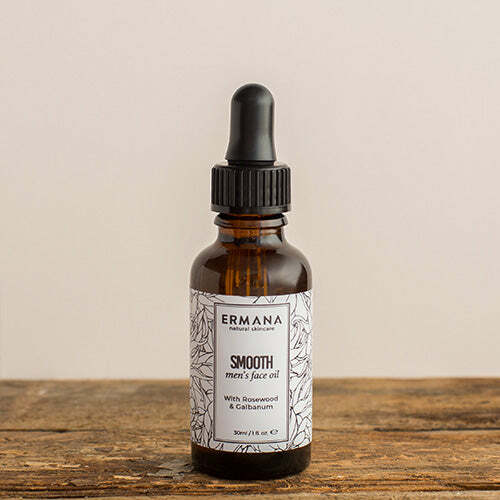 INGREDIENTS – Apricot Oil (Prunus Armeniaca), Macadamia Oil (macadamia Ternifolia Seed) , Jojoba Oil (Simmondsia Chinensis), Vitamin E (Tocopherol), rosewood oil ( Aniba rosaeaodora), galbanum oil ( Fergula galbaniflua), Linalool*, Limonene*, Geraniol*, Benzyl benzoate*.